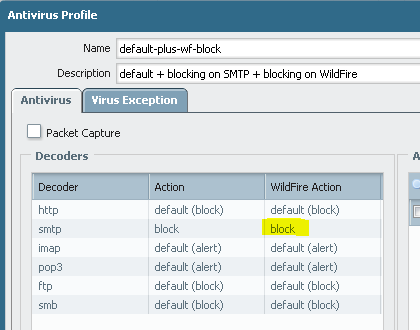 Just a note on how to enable Wildfire on SMTP traffic and how it looks like on the wire. 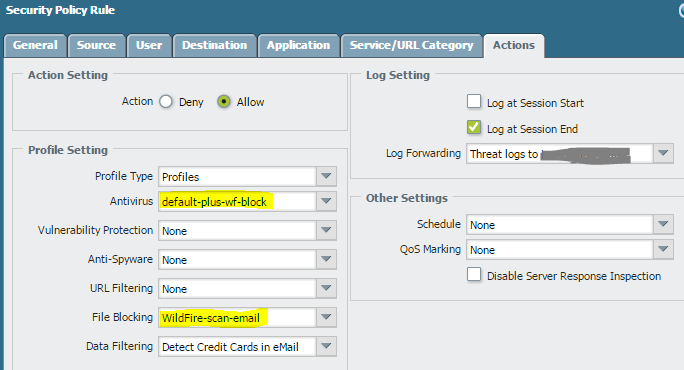 Then create a policy enabling these two profiles on SMTP traffic (i.e. from your Internet-facing MTA to your back-end e-mail system). In my case it’s a Linux with Sendmail-based MTA talking to Microsoft Exchange. Obviously for the whole solution to work you will need to disable SMTP TLS for this communication or do SSL-decryption on PA (which is clearly out of scope of this post). 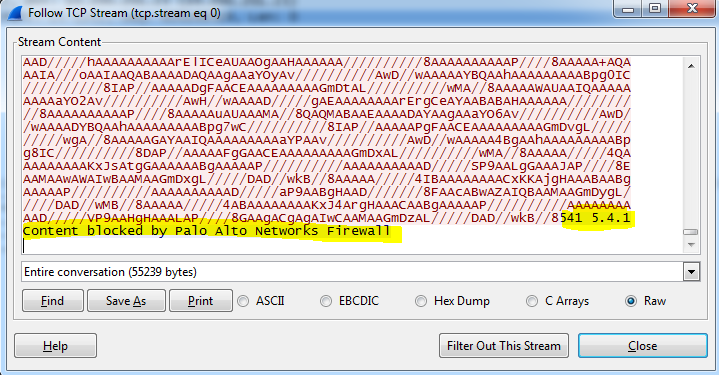 As you can see the firewall kindly injects SMTP code 541 at layer 7 and resets the connection. It looks very nicely on the sender side as you can see. As a result a sender of the infected e-mail message receives a nice message from MTA quoting the 541 error produced by Palo Alto.